The cottage has a toilet and wash basin/utility room, large eat in kitchen, sitting room and double bedroom on the ground floor. The upper floor has a bathroom with over bath shower and one double and one single bedroom. 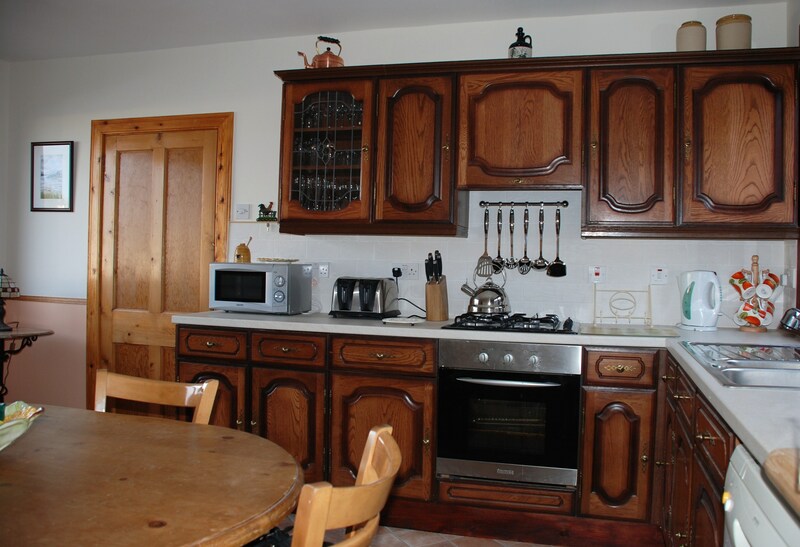 The eat-in kitchen is fully fitted with cooker, fridge freezer,dish washer and microwave. Tea towels and cleaning cloths are all provided. The lounge is comfortably furnished and has a cozy wood burning stove. There is also TV and a DVD player. 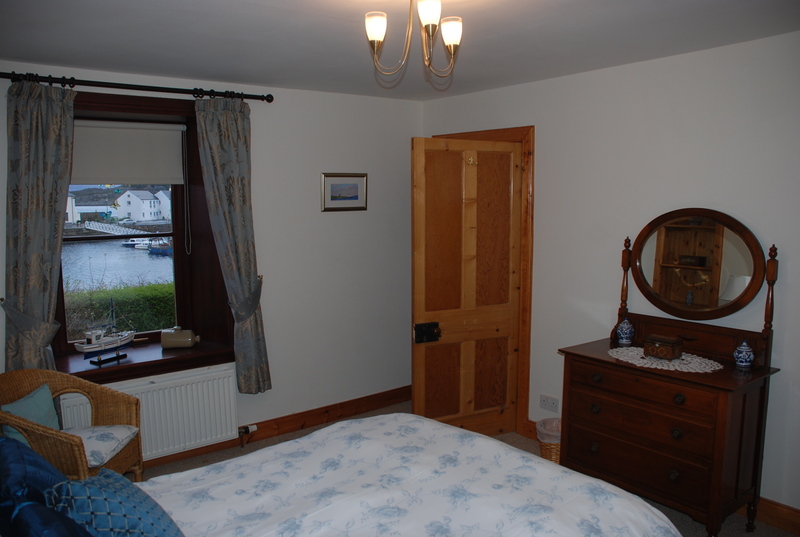 The cottage is centrally heated throughout and has wifi. Bed linen, towels, electricity and heating are included in price. Electricity and Heating: Heating is a modern gas central heating system. Gas and electricity are included in the rental. Miscellaneous Items: These include iron and ironing board, vacuum cleaner, hair drier etc. 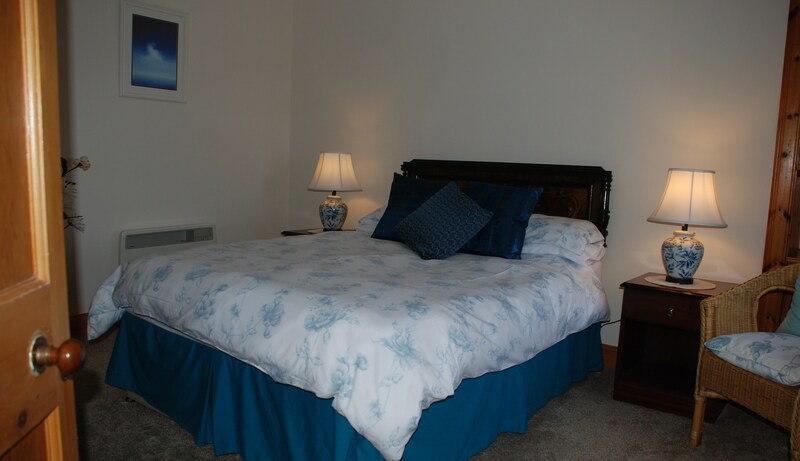 Two towels are provided per person and the beds are fully made up for your comfort and convenience. Car Parking: Private off road parking is available next to the cottage.